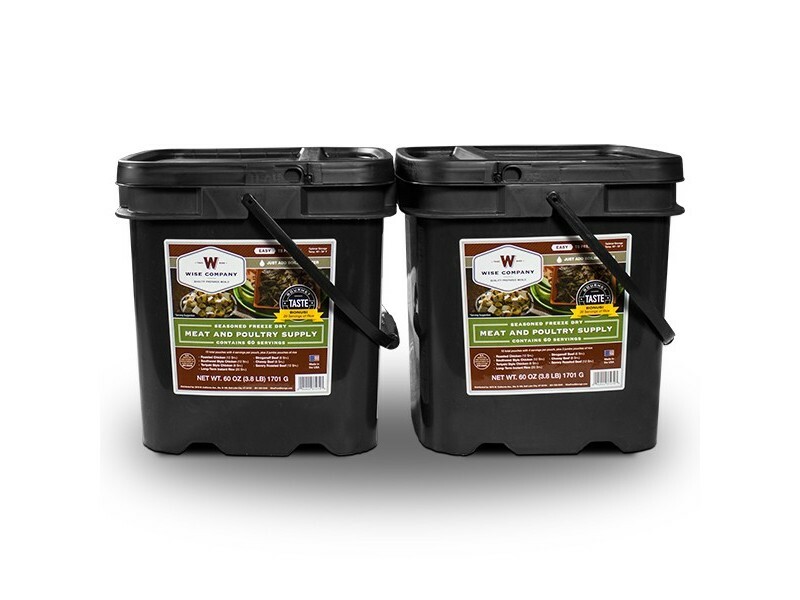 Freeze dried meat 120 servings from Wise Foods is a great way to start any food storage program. It has enough food to get most families through several days, or even weeks after a disaster. In most emergency situations, the biggest threat to your safety is in the first several days after the event. After that point, emergency relief is put in place. With 120 servings of meat and 40 servings of emergency rice, you’ll be able to stay safely in your home until it is safe to go out again. 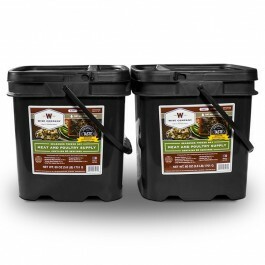 Wise Foods has specially chosen each of the different freeze dried meat in these convenient buckets. They contain plenty of food to get you through most disaster situations, and sine they can last for 20 years, or even longer, on the shelf, they will always be ready for you to enjoy when disaster strikes. Of course, you can also use these emergency rations when you go camping, hiking or even if you just don’t feel like cooking one day. All of the foods were chosen to ensure you and your family are getting a good mix of protein, vitamins, minerals and other important nutrients. This will help you stay strong and healthy throughout the emergency. In addition, you can cook these items right in their pouches by simply adding hot water, which makes them an excellent option in case the gas and electric are out due to the disaster.